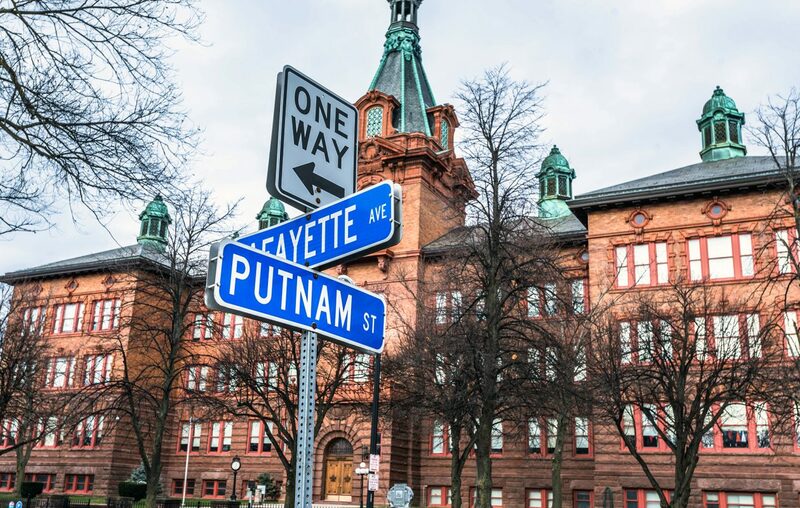 “It all started because I wanted to know how Keppel Street got its name, because that’s my last name,” said Angela Keppel, creator of the popular blog, Discovering Buffalo, One Street at a Time. Seven and a half years later, Keppel doesn’t yet have the answer. But she has uncovered the meaning of over 150 other streets in the City of Buffalo. “As an urban planner, I’m interested in discovering how cities grow and develop over time. I think it’s important to know where we came from in order to know where we’re going collectively as a city,” Keppel said. In anticipation of Pre-sident’s Day, our conversation focused on streets with presidential tie-ins. Because Keppel isn’t afraid to venture off the beaten path, she’s discovered that even streets without presidents’ names have presidential connections. Scatcherd Place, a very short road off Peabody Street in Buffalo’s Valley neighborhood, was named after James Newton Scatcherd, a former Chairman of the Buffalo Water Commission and President of the Board of Trustees for Buffalo General Hospital. Scatcherd loaned Theodore Roosevelt his hat, which Roosevelt wore when he was inaugurated as the 26th President, right here in Buffalo. Titus Avenue, a street running between Broadway and Walden on the East Side, was named for Judge Robert Titus, selected to defend President William McKinley’s assassin in 1901. “Judge Titus and his partner, Judge Loran Lewis, had not wanted to represent Leon Czolgosz, but they took the side of justice to ensure he was given a fair trail,” noted Keppel. Putnam Street, between Lafayette Avenue and West Ferry, was named after James Osborne Putnam. Putnam was a friend of President Abraham Lincoln, who worked on his election campaigns and was appointed by President Garfield to represent the U.S. as minister to Belgium. Putnam also owned a farm that covered most of the land west of Richmond Avenue. He was responsible for all of the trees planted from Colonial Circle to Breckenridge Street. “Streets are the perfect subject because they are hidden, but also right there for us to see,” added Keppel. To learn more about these streets or see if Keppel has covered yours, visit buffalostreets.com.